Patients are seen by Appointment , we stay on schedule repecting your time, try our best to reduce if not eliminate any wait. This gives enough time to properly give Top quality Care to each of our patients, there is no rushing through our office. Call our office we will verify your Insurance and let you know what your chiropractic benefits are. We proudly serve South San Francisco, San Bruno, Daly, Pacifica, Millbrae, Burlingame San Mateo, Redwood City and San Francisco. 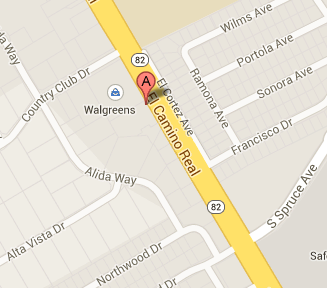 Our Chiropractic office is conveniently located next to Walgreens on El Camino Real.. Call our office at (650) 291-0709 for an Appointment Today!